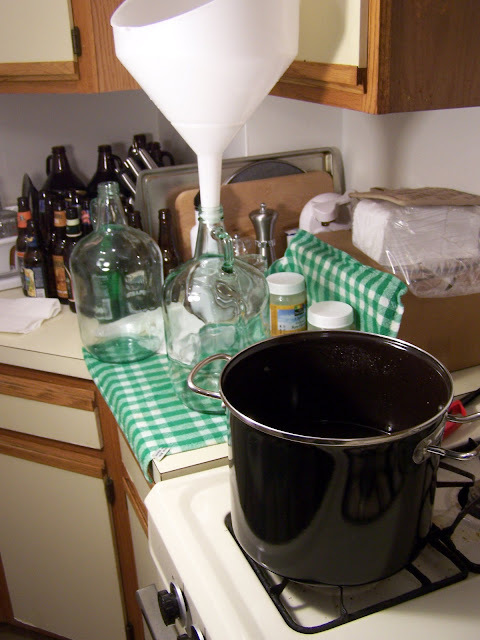 On day two, once the mixture has sufficiently cooled its time to strain the spices and add the yeast to begin fermentation. 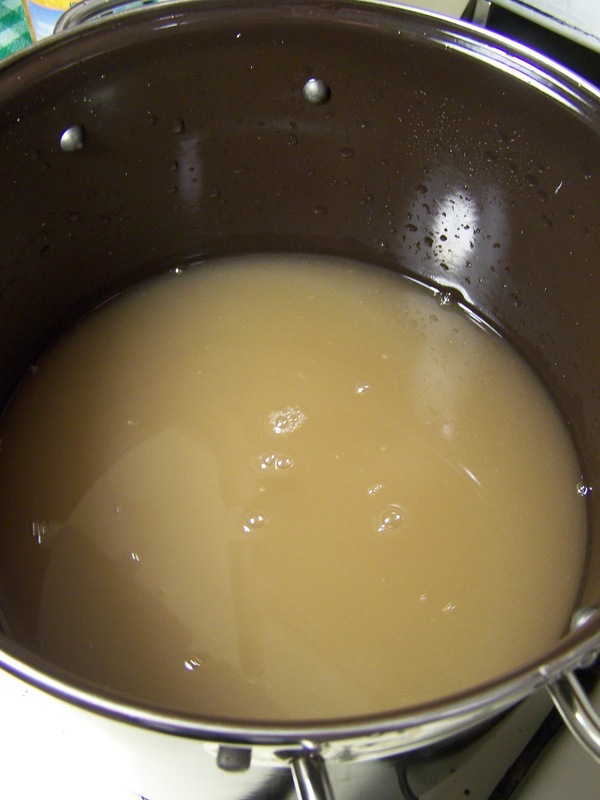 First, I added the yeast to a small bowl of warm water (about 100°F). 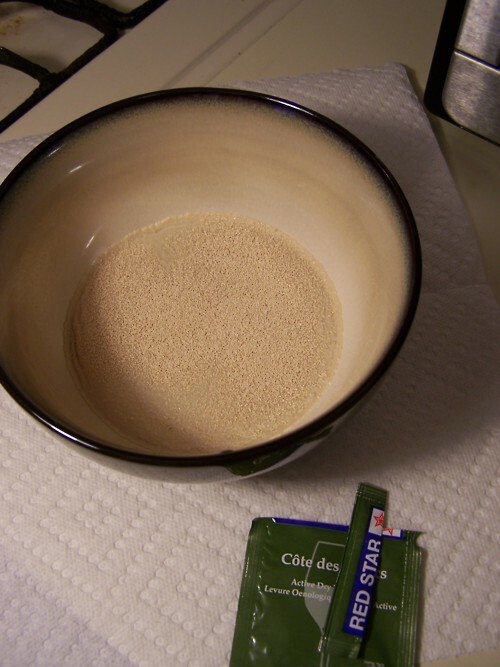 This begins to activate the dry yeast and gets them ready to be added to the liquid. 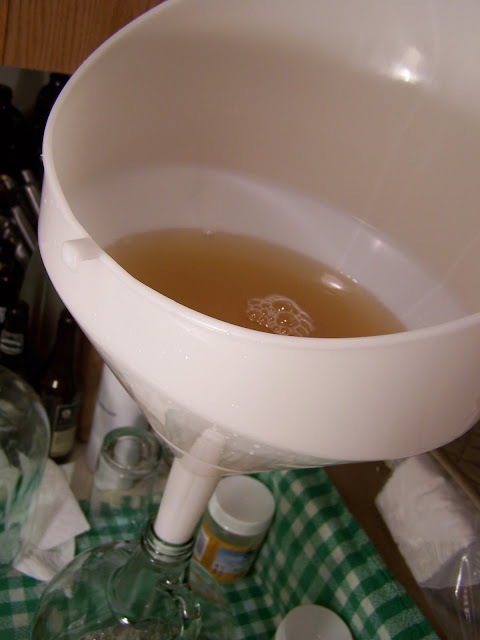 Next, I poured the mixture through a large funnel, with a screen, into one of my glass jugs. This strained out a lot (but not all) of the sediment. A lot more will be created by the yeast. Although it looks good in the jug, this is only an intermediate step. The liquid got added back to the pot where I next added the yeast. After two days the yeast will have begun to make some progress. 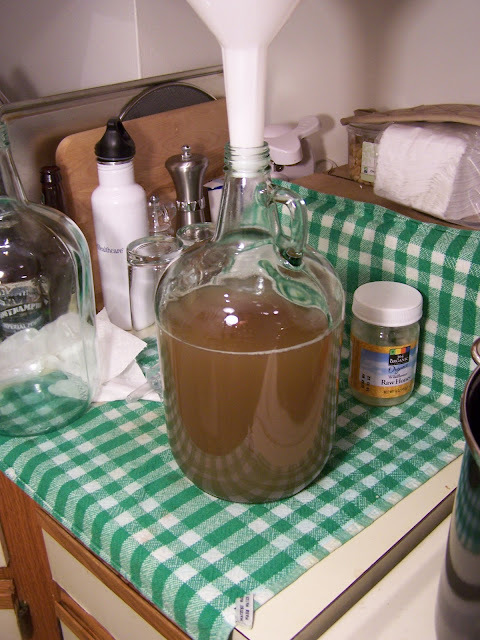 Once this is done, I’ll transfer the liquid (trying to leave as much sediment behind) to one of the glass jugs to begin the bulk of fermentation.